Starting small as a digital nomad: visiting family - Work ... Uncaged. Trying to get started with becoming a digitial nomad? I like to start with small experiments. There are a few things to adjust to, and starting small makes things easier. For example, you will likley need to downsize. Many of us are used to an extra monitor or two. We have printers and external keyboards. There are the chair and coffee machines which seem indispensable for our daily work. Even if you’re used to working from your home, it’s much different when you have to leave all of your usual gear behind. So, let’s assume that you’re OK with taking only your laptop, some headphones, and maybe a portable mouse with you. 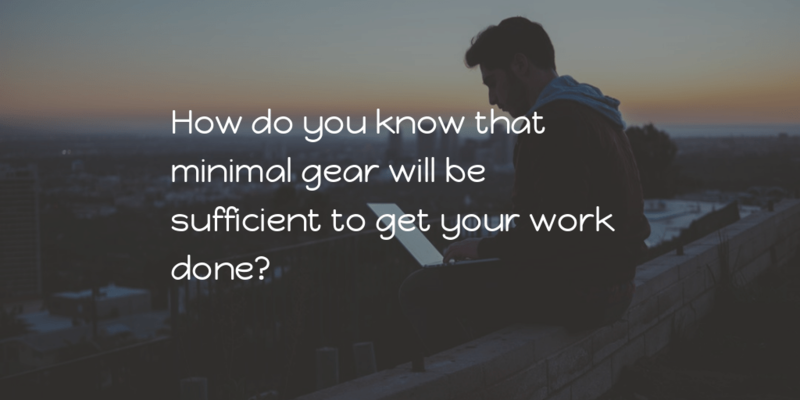 How do you know that minimal gear will be sufficient to get your work done? The short test runs from the local coffee shop on occasion only go so far. They give you a taste, but won’t let you know whether you can truly survive and get your work done from anywhere. I’ve found that visiting a relative or a friend, can be a great test run for helping understand what you really need for digital nomad work. You might not be able to just show up at your relatives and mooch of their internet for a week. But you can start with a few half days or some hours in the evening. Again, it’s about starting small. The difference from the coffee shop will be clear because all your other gear is hopefully inconveniently far away. I’ve personally done several of these tryouts when visiting family. There were some hiccups, but nothing that was too difficult to get past. Here are a handful of suggestions that will help make things smoother, if you’re looking to give this a try. Make sure that you can live with just your laptop. The coffee shop session will help get you used to that. In the event that you absolutely need to have that large monitor, you might want to make sure that your relative has one of those and doesn’t mind you using it. That will help you understand if you need to do more research on suitable workplaces as you work toward the digital nomad lifestyle. Check that your relative has internet. This might be a no-brainer, but there are still places using slow modem connections or a restrictive data plan. It would be rough if you got there only to find out that the internet is limited to 1GB of high-speed data. The best choice is to have a backup regardless. My choice for this is a Verizon MiFi without a monthly plan. I can add a few GBs of data and at least keep working almost anywhere. Confirm that your relative is OK with it. You might have the kind of relationship where you can just show up and use the internet, but it’s always good to check and let them in on your plans ahead of time. Of course, it might be a non-issue if they are working during the day, or you might find that they also want to try this remote working thing. Bring headphones. Your house may be quiet. Don’t assume your relative’s house is too. It might be generally quiet, but it’s a different thing when you’re trying to work. They may be home and have the TV on all day and tuned to the worst station you can imagine. Trust me. Bring the headphones. Be flexible and adventurous. You’re trying to be a digital nomad. Might as well take the opportunity to explore some places around this new location. Work from a different coffee shop or the library. Go out for lunch, maybe see a movie. The more you can gain comfort in being productive in different locations that better. After all, that is what the experiment is all about. Lastly, it should go without saying, but take your hosts out for dinner and/or drinks. They just made it possible for you to run an experiment you really care about. Odds are they’ll want to hear more about all this. What better way than to share with them over a meal.